Ubu Gallery presented a collection of rare, vintage photographs taken by Eugène Atget between 1910 and 1913 in the no-man’s land of trailers, fortifications, gypsies and ragpickers at the edge of Paris known as the Zone Militaire, or more simply, “The Zone.” Focusing on the embankments of Porte d’Ivry and Porte d’Italie, these eighteen photographs were part of two album projects of 60 photographs, each of which Atget titled Zoniers and Fortifications de Paris. 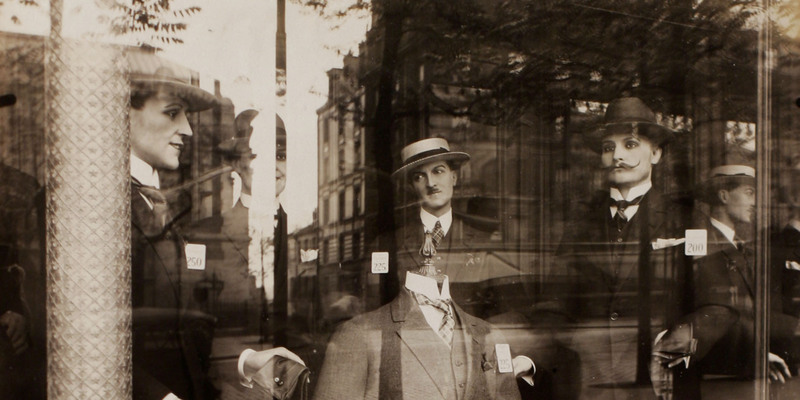 Although documentary and vernacular in nature, the “Zone” pictures depart from the nostalgia of Atget’s better-known work in favor of a gritty new urbanism, as well as a more idiosyncratically personal and political view of Paris. The “Zone” and its inhabitants were a particularly hot topic in social, political and intellectual circles immediately preceding World War I. Bourgeois intellectuals romanticized the ragpicker as a sort of “philosopher-king”— a carefree, anti-establishment hero whose poverty was the acceptable price of absolute liberty—whereas the Socialists and trade unionists cast the ragpicker as the symbol of the exploited working class. Inasmuch as Atget held strong Syndicalist, Socialist and pacifist beliefs, these carefully posed photographs were at least in part an exercise in polemics. In addition to being Paris documents, The “Zone” pictures were propaganda with a distinct political and moral agenda.